On Jan. 26, 2017, Kennedy Space Center employees and guests paid their respects to astronauts who have perished in the conquest of space. 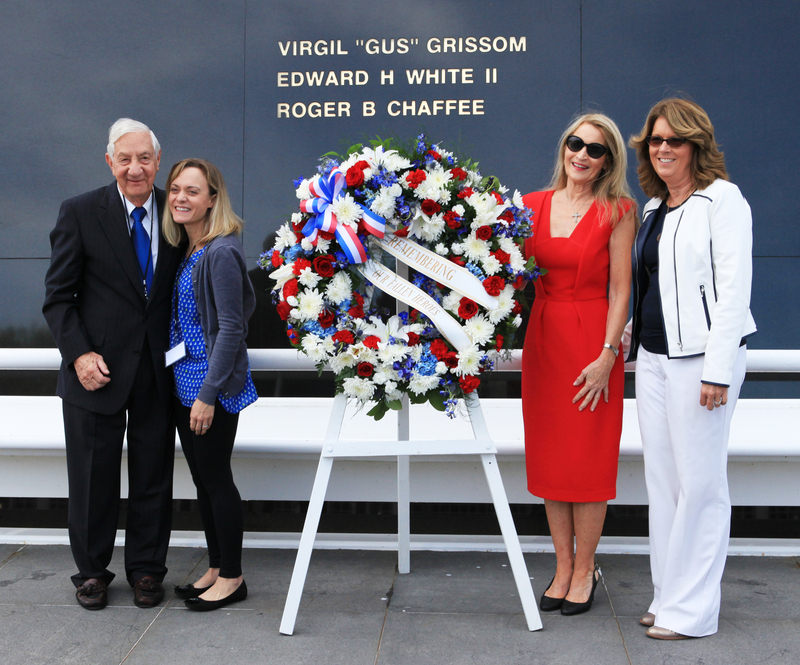 The annual Kennedy Day of Remembrance activities included a ceremony in the Center for Space Education at Kennedy’s visitor complex. The observance was hosted by the Astronauts Memorial Foundation (AMF), paying tribute to those who acknowledged space is an unforgiving environment but believed exploration is worth the risk. The ceremony included the Viera High School Army junior ROTC color guard and the national anthem performed by a vocal ensemble from DeLaura Middle School in Satellite Beach. A musical selection also was performed by Brandon Heath, a contemporary Christian musician from Nashville, Tennessee.